I recently got a new camera. A post will be coming soon about it, and the tragic demise of my old one. But what to use? The answer came when drying clothes at C’s house. They all came out with puffy orange bits on them. And that’s when I remembered this sweater! It made the perfect bag! This bag is off the hook!! Needle and thread: really any color, because the sewing will be on the inside, but you may want a color that matches for the award. Or not if you’re like me. Or you could use a sewing machine if you’re really snazzy. Ok, first things first, about that sweater. 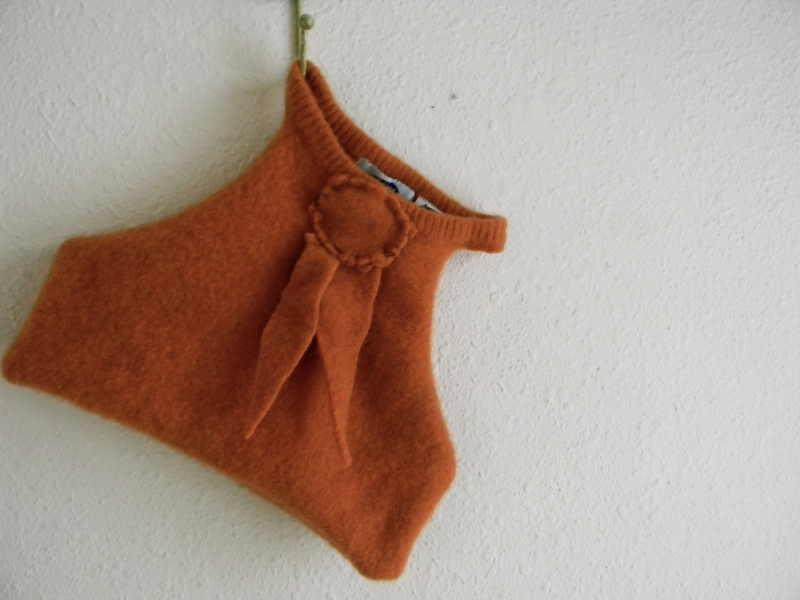 To felt up a sweater, you need to get a wool one. Varying percentages of wool work as well, but all wool is the best. I find them at the goodwill or salvation army store. Sometimes you can get good colors. This one was an extra small from Old Navy. 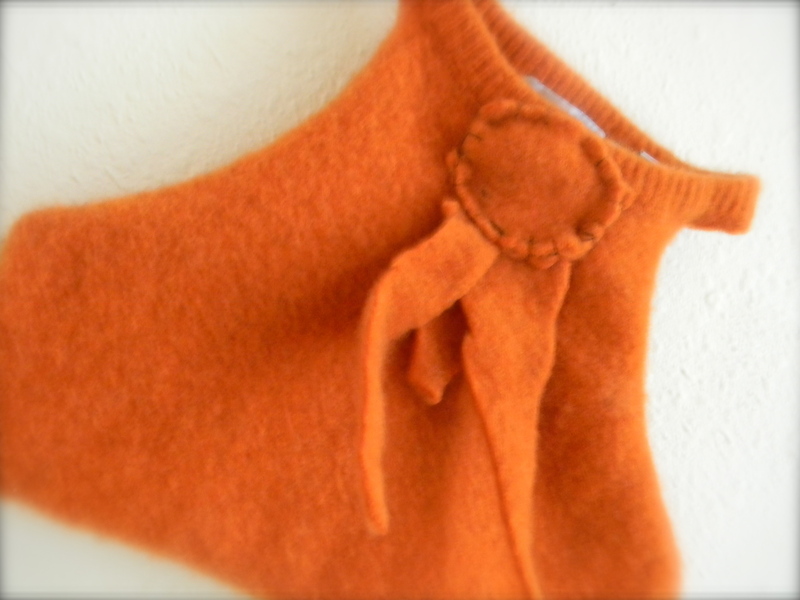 To felt the sweater, wash it in hot water and dry it! Sometimes it takes more than once to felt the sweater, and sometimes they don’t shrink that much. Case in point: This was one of three sweaters I bought to felt, and they were all 100 percent wool. This one shrunk a little bit, but is not a super tough texture. The second one shrunk a ton, and is pretty tough. anyway..there was a point to that. Some sweaters felt up better than others. I like to think of it as a magical mystery. You never know what you’re gonna get! 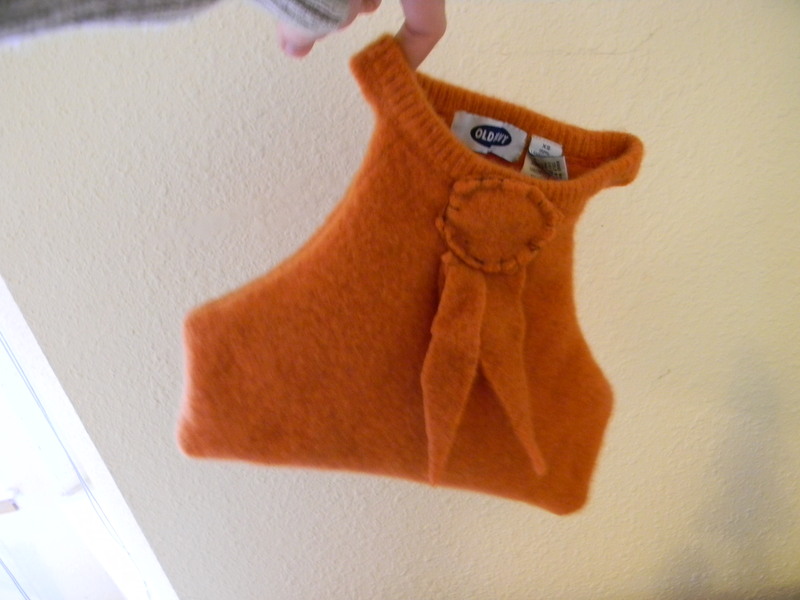 Ok so the sweater is felted. Now you get to cut. For my sweater, I kept the whole collar. 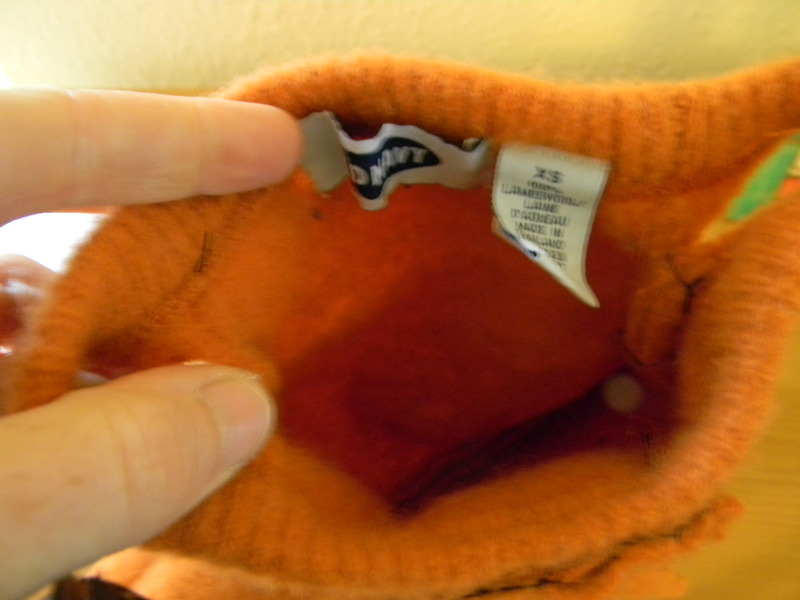 Then I cut along the sleeve, leaving the seam on the bag, and cut off a ribbed part at the bottom. But that’s just because am using it a a camera bag. You could leave the rest of the sweater if you wanted a bigger bag. 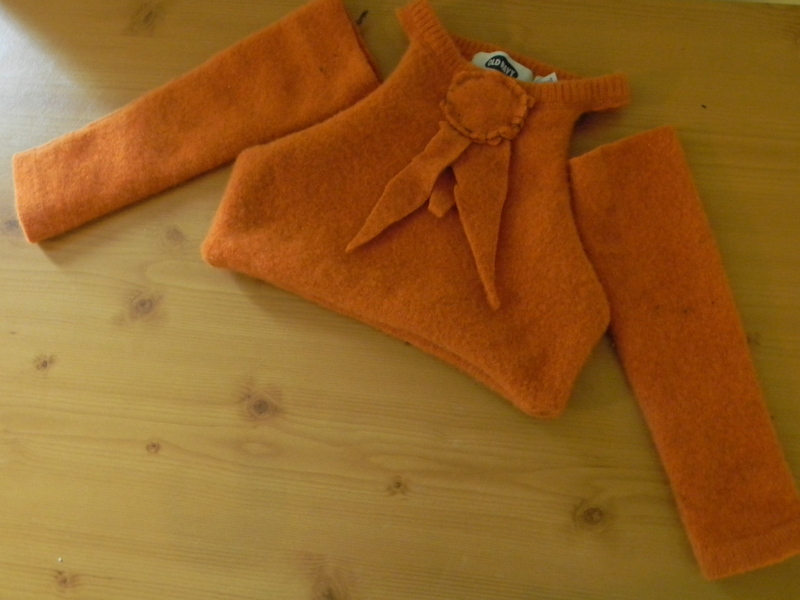 Save the sleeves; you can use them for arm warmers or fun felted friends later! Bonus!!! 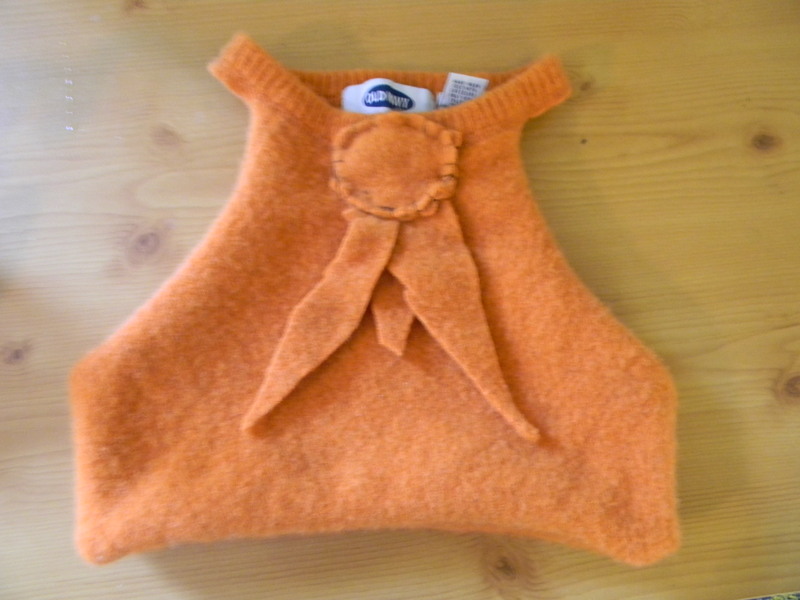 Bag with sleeve arm warmers. Waste not want not! Ok, now sew it up. I turned the whole thing inside out and stitched up the bottom, then the sleeve holes. I left a small amount at the top open, where the left over color is. This leaves a small space to hang the bag up on a hook, to grab on to, or to add straps through later. I knew I didn’t want straps right now, but liked the idea of it being open later on. You can add straps if you want them easily; use some of that extra you cut off the bottom or go crazy and use something else! Now time for the award. It’s pretty funny how the idea for this came about. I had sewn up the bag and looked at the scraps, seeing if I could add any flair. I’m all about the flair. As already stated, I used the bigger ones as arm warmers, but had three scraggly pieces. I instantly thought: Oh yeah, an award, like a blue ribbon or something! And the award was born, and the bag got it’s name. The award for easiest bag ever? To make the award, I cut out two things that I thought were circles, which are actually more like ovals, and blanket stitched them together. 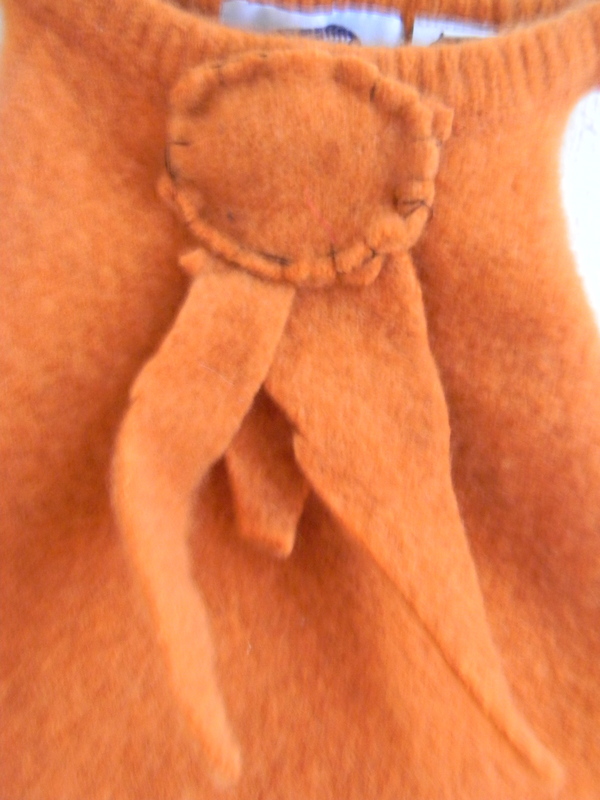 I then sewed the scragglies on the back, and sewed the whole thing on the bag. I admit, sometimes it does look more like a tie, but I like to think of it as an award. The finished bag is pretty roomy. I left the tag in, because I think it’s cool. And proof that it’s handmade. 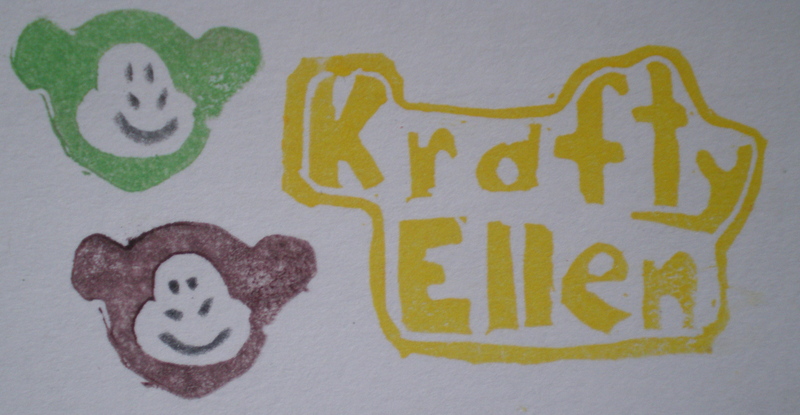 Sometimes people think my stuff isn’t handmade, which I can’t believe. Something commercially made would not be as imperfect as my creations! You have an award winning bag. This project is really easy. If you can sew, even if you can’t, you can do this. Imagine these little guys as presents! I love it! I was asked what award the bag won. Easiest gift that people will brag about to their friends…. Cutest in show? Standout bag of the year? Let me know if you give this a try or if you need help! For more things to make, check out my other how to’s!